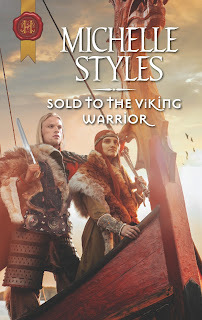 Because Sold to the Viking Warrior is officially published in Feb 2017 and I've received my author copies, I am doing a giveaway with Goodreads (there will be other opportunities to win a copy as well). Giveaway ends January 29, 2017. I am not sure about the cover but I did like the story. It is Mothering Sunday on Sunday. This is the Uk's version of Mother's Day. The UK already had Mothering Sunday when Anna Jarvis began her campaign in the US. It was done in part to honour her dead mother (a renown peace activist) which is why in the US, the day happens around the 13th of May. In the UK, Mothering Sunday origins come from Lent and the tradition of returning to the Mother church on the 4th Sunday of Lent. As this meant often returning to where you came from, it also became about visiting your own mother. It is a day to honour your mother -- whether or not she is alive or dead. Everyone has a mother. There was a colour code in the carnations (the first flower associated with Mother's Day -- white if your mother was dead, red if she was alive) It is about remembering how much your mother does for you and what she means to you. The day which Anna Jarvis worked so hard for was supposed to be about sentiment, not profit. Jarvis grew to hate the day because she loathed the commercialization. It was supposed to be about telling your mother (or indeed the person who was your mother figure) about how much you appreciate her. Personal, not commercial. Unfortunately the marketing focuses on living mothers, rather than on honouring all mothers. An idea to honour a departed mother would be to give a donation to her favourite charity. Or perhaps spending a little time looking through photos of her and remembering how special she was and the little things she did. (I do this on Father's Day as my father died over 25 years ago). A good mother never dies, she lives on in the things you do and the way you do things. And if you have children sometimes you do see your parents in them. Mothers are important. I am very grateful for mine who remains very much alive. Although at her request, I honour her on the US Mother's Day, rather than on Mothering Sunday as she is American, not British as she has pointed out several times. 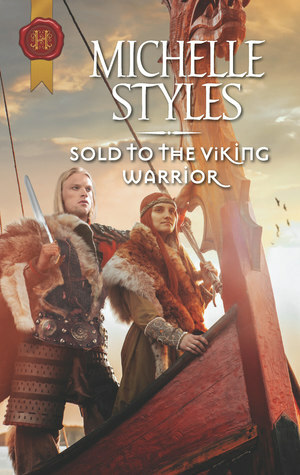 Amazon UK has Taming His Viking Woman on special offer on kindle 99p. You can see the offer here. I am not sure how long the offer is good for but thought to highlight it. I have no idea about Amazon.com as the website will not give me prices -- it knows my location is from the UK. Taming His Viking Woman has been translated into Italian. I believe the new title roughly translates as The Warrior Wife. It works for me. Recently I saw that some readers believe all my Vikings to be linked into one giant mini series. Unfortunately not. I am not that organised. The first three Taken by the Viking, Viking Warrior, Unwilling Wife and The Viking's Captive Princess are linked. Return of the Viking Warrior and Summer of The Viking are linked but the others stand alone. My editor currently has the latest Viking which is set on Islay in Scotland. I am expecting revisions. Yesterday I discovered a leak in the oil tank (newly refilled). Apparently this happens more often than you'd like to think. The oil tank is a little over 10 years old so out of warranty. The man who could potentially fix it was out on another call. Oil was spreading and so I decided to do it myself as I had located the source of the leak. My first attempt with plastic mastic was unsuccessful. Then I remember my father fixing leaking oil in a car with a bar of soap. It was a traumatic journey from Colorado to California with stopping every few hours to re-soap the hole. Once we stopped at a fast food place and my father saw fresh oil but it wasn't our car -- rather the one next to us. My father held out the bits of soap which the owner gratefully used. For many years, I kept soap in the car just in case... But would it work on the oil tank? So I tried that. I rubbed a bar of soap along the leak. Immediately it slowed, so I kept on rubbing it. Once the leak had stopped, I covered the entire area with plastic mastic as there was no duct tape to hand. This time the mastic stuck. I then went on the internet -- someone who does oil tanks in Kent put up a notice -- if you have an oil leak on a plastic tank -- first get your bar of soap. He reckoned that the bar needed to be wet but I found it worked fine dry (Pears Soap in case anyone wants to know). He said after stemming the leak with soap to cover with duct tape. I have used plastic mastic but it should be fine. After 18 hours, it is all still holding. Fingers crossed. However I do have the bar of soap at the ready. The current plan is use up the oil and then get a new oil tank. 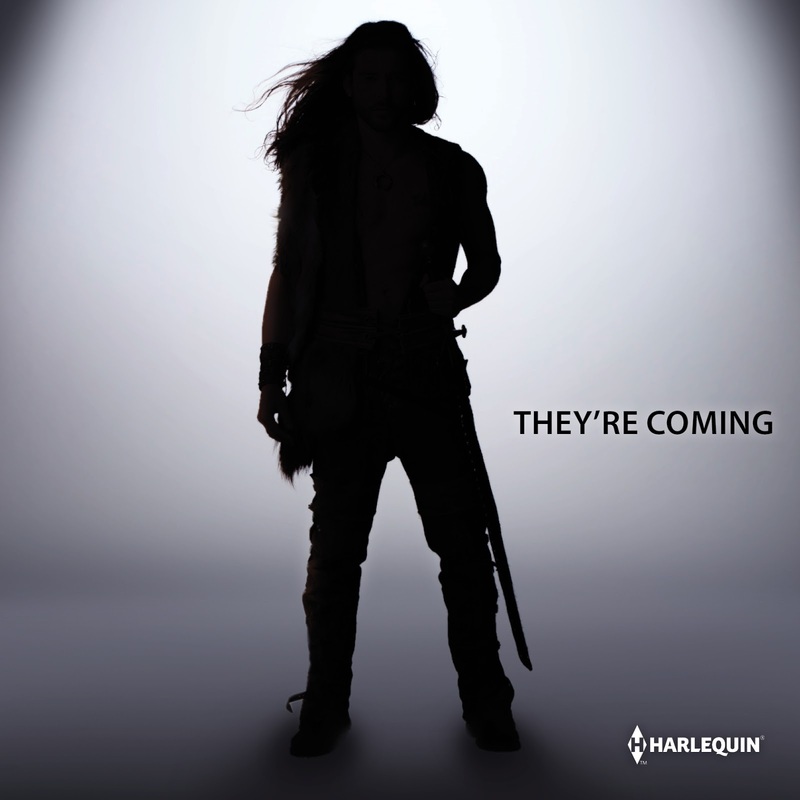 For the first time ever, Harlequin has compiled a list of the best of the best from last year. TAMING HIS VIKING WOMAN made it into the Best Women on Top list as number 4. I am very thrilled as it is a big honour, considering how many books Harlequin publishes a year. You can see the full lists here. I discovered these the other day and they are very simple to make. I used a silicon canape tray for the mould. You could use little muffin cases. Whatever you use, you want it small and easy to remove. Put the silicon tray into freeze. 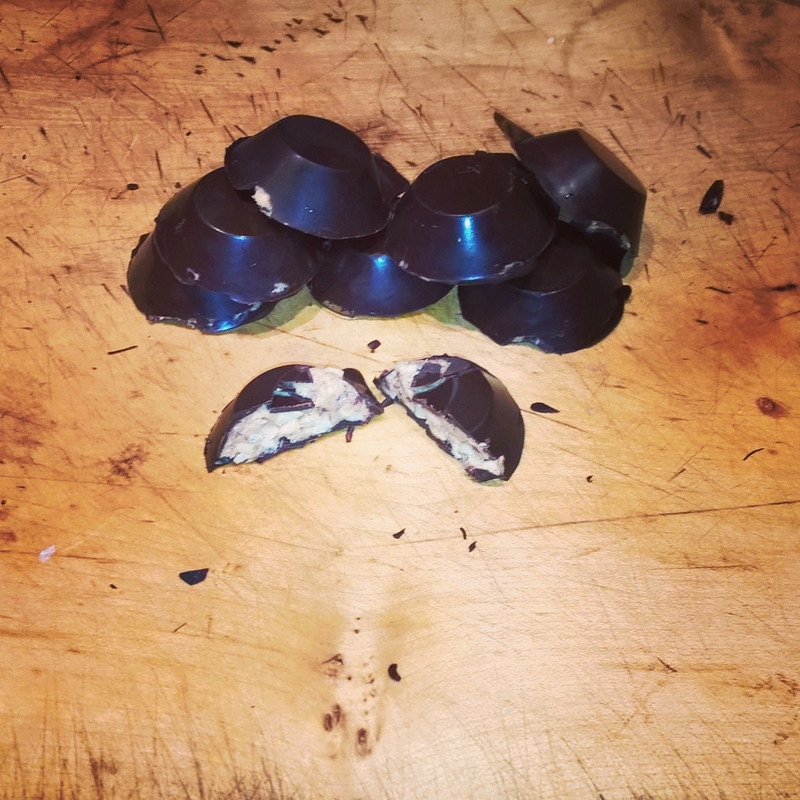 Melt 200 grams of 85% dark chocolate. Take tray out of freezer and coat the bottom and sides of each mould with chocolate. Put tray back in freezer for a few minutes. You will now have a tray of chocolate cups. 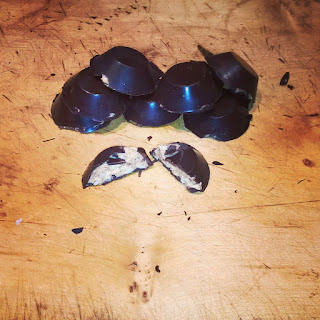 Take out and put a teaspoon of no added sugar peanut butter in each chocolate cup (you could make your own -- grind unsalted peanuts with a little oil and a pinch of salt until smooth or use any nut butter – I had organic peanut butter to hand). Smooth the tops so it sits slightly below the chocolate. Spoon chocolate over the top of the peanut butter to seal. Place back in the freezer for about 10 minutes. Remove from tray. Store in the fridge. Because it is dark chocolate and no added sugar peanut butter, they are actually somewhat healthy.